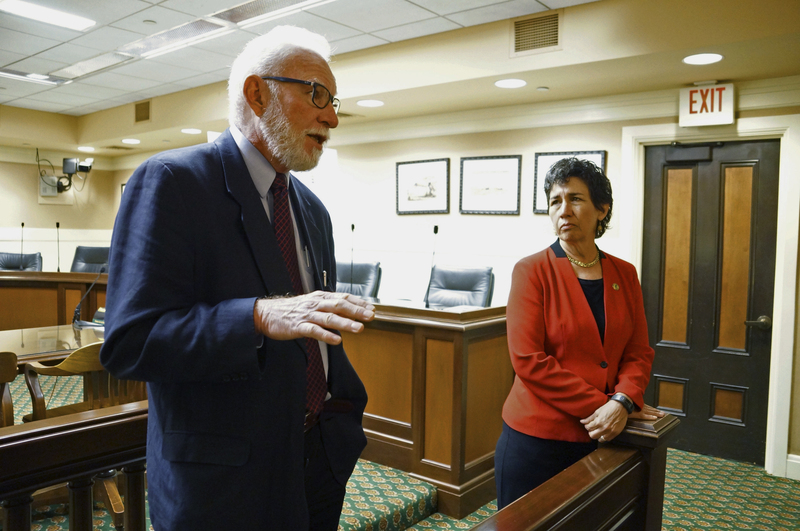 A lawmaker wants to allow California addicts to use heroin, crack and other drugs at supervised facilities to cut down on overdoses, joining several U.S. cities considering establishing the nation's first legal drug-injection sites. Combating heroin overdoses in "America's Hometown"
Though federal authorities have taken a hands-off approach to states' legalization of marijuana, it's not clear how they would respond to facilities permitting users to shoot up hard drugs. "Addiction is a health care issue, and I think it's high time we started treating it as a public health issue, versus a criminal issue," Eggman said. "This bill is one step to be able to address the heroin addiction and epidemic of overdoses that we're having in our country." Advocates of drug policy reform point to the success of North America's only supervised injection facility, established 13 years ago in Vancouver, British Columbia. "The drug is illegal, but the person who's using that drug is suffering from a recognized medical disease," Campbell said. "What this does is simply treat the addiction, keep somebody alive and keep them off the streets." "This sends entirely the wrong message regarding drug use and likely creates civil liability issues for participating governments and officials," said Asha Harris, spokeswoman for the California State Sheriffs' Association. "We need to discourage people, but we also need to help them," said Lackey, a 28-year veteran of the California Highway Patrol. "But I just can't support this because there's a number of problems at this stage. "I don't think we're quite ready for this step," he said.